We will do our very best to give you the most competitive fixtures we can. By that we mean we will pair you with teams of similar ability where both teams will need to play at their very best in order to win. Sometimes we get this wrong or other circumstances mean that one team may not be performing at their best. 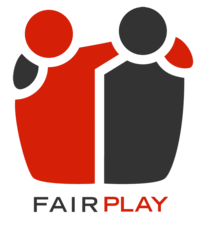 Fairplay is about recognising that the teams are not fairly matched and instead of pressing on regardless until the final whistle with a game that is not benefiting the development of either team, both team’s coaching staff look at ways to change the game so that both teams continue to benefit from the experience.